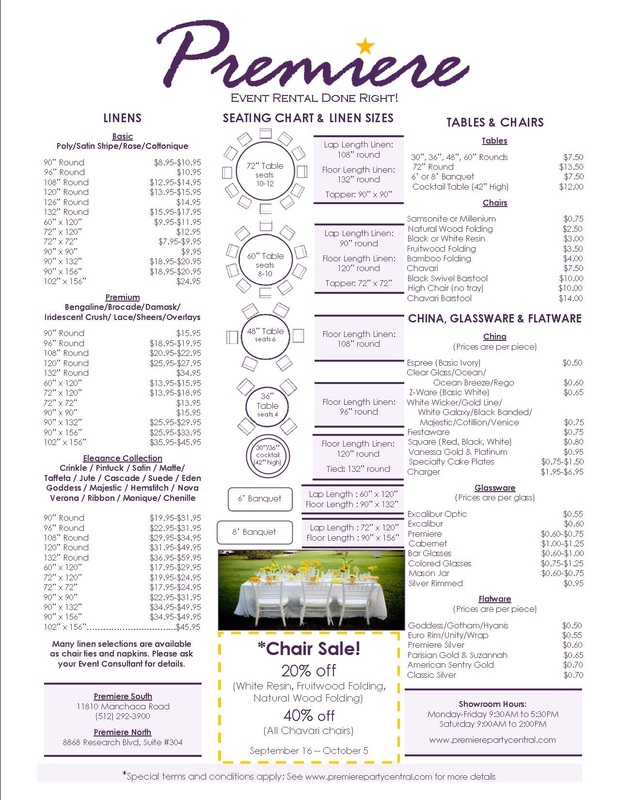 2013 Price List and Chair Sale Announcement! This entry was posted in Uncategorized and tagged 2013, Austin, chair, discounted, Event, Party, Premiere Party Central, premiere select, price list, rentals, sale, Wedding. Bookmark the permalink.